1. In BIDS, the SSIS project contain 10 packages. But How to deploy only 5 packages in Destination machine even though Manifest file contains all 10 packages after the Build? -Open the Manifest file in any editor like BIDS or Notepad, keep the required 5 packages, remove remaining 5 packages. -Save and Close the Manifest file. -Double click on Manifest file to deploy the required 5 package. 2. How would you pass a Parent variable value to Child Package? We can pass the parent variable to child package by using Package configuration: Parent Package Variable. 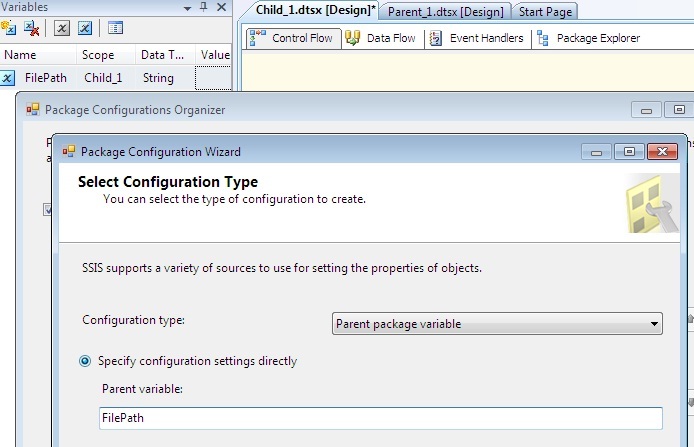 2.2 Drag an 'Execute Package Task' in Control Flow and configure it to start child package. 2.3 Go to Child Package and create a variable with same name as your parent package variable. 2.5 "Enable Package Configuration", choose Configuration type as "Parent Package Variable" and type the name of the variable. 2.6 click 'Next' button and select the 'Value' property of the child package variable. 2.8 To test the package, I added sample Script Task with a messageBox to show the value of the parent package. How to remove double quotes from the file to process the data. 6. Will trigger fire when inserting data through SSIS package? 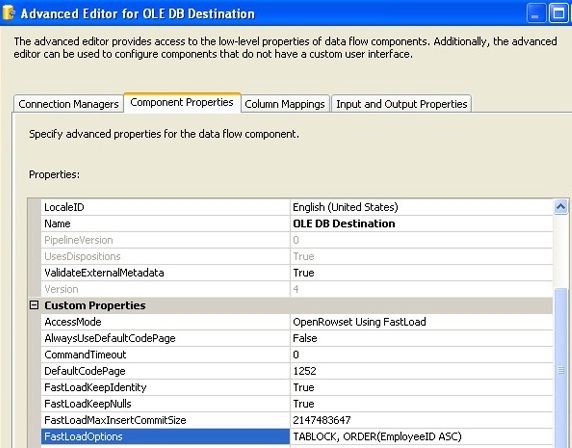 1.In the data flow task, go to the Advanced Editor of OLEDB Destination, and there should be a property "FastLoadOptions". Specify FIRE_TRIGGERS as an additional option. AGGEGATE -The Aggregate transformation applies aggregate functions to column values and copies the results to the transformation output. Besides aggregate functions, the transformation provides the GROUP BY clause, which you can use to specify groups to aggregate across. CHARACTER MAP - When it comes to string formatting in SSIS, Character Map transformation is very useful, used to convert data lower case, upper case. CONDITIONAL SPLIT – used to split the input source data based on condition. COPY COLUMN - Add a copy of column to the output, we can later transform the copy keeping the original for auditing. FUZZY GROUPING – Groups the rows in the dataset that contain similar values. LOOKUP - Performs the lookup (searching) of a given reference object set against a data source. It is used to find exact matches only. MERGE - Merges two sorted data sets of same column structure into a single output. MERGE JOIN - Merges two sorted data sets into a single dataset using a join. MULTI CAST - is used to create/distribute exact copies of the source dataset to one or more destination datasets. Required: If a transaction already exists at the upper level, the current executable will join the transaction. If No transaction at the upper level, a new transaction is created automatically. Supported:In any executable, if there is a transaction at upper level, the executable join the transaction else do not create a new transaction. Not Supported:The executable of the package do not honour any transaction ie do not join other transaction nor creates new transaction. Checkpoint is used to restart the package execution from the point of failure rather than from initial start. CheckpointFileName: Specifies the name of the checkpoint file. SaveCheckpoints: indicates whether the package needs to save checkpoints. This property must be set to True to restart a package from a point of failure. FailPackageOnFailure: property needs to be set to True for enabling the task in the checkpoint. Checkpoint mechanism uses a Text File to mark the point of package failure. These checkpoint files are automatically created at a given location upon the package failure and automatically deleted once the package ends up with success. 10. How to execute SSIS Package from Stored Procedure. 11. How to enable Xp_CmdShell in Sql Server? We can enable through either T-Sql or SQL Server Surface Area Configuration. The package can be transferred across various environments like development and unit testing, system testing, UAT and production. Most packages will have environment specific variables like connection string to a database or path to a flat file, or user defined variables etc. that would be impacted while moving the package across environments as part of deployment process. Hence, it is mandatory to change these environment dependent variables when the package is transferred across environments. Package configurations help in managing such changes without actually opening and editing the SSIS package in Business Intelligence Development Studio (BIDS). After deploying the package to a different machine (using SQL Server or file system deployment mode) it is mandatory to copy the related package configuration files on to that machine. If the package is scheduled to run through a SQL Agent job, the configuration file should be added while creating the job so that package will read the information from the configuration file. 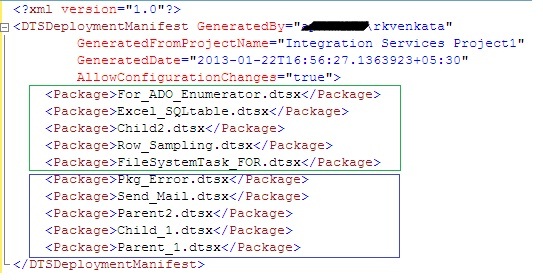 While executing the job, SQL Agent will take the design time values for connection strings if the package configuration file is not supplied. There are 5 configuration types available with package configurations. Logging is used to log the information during the execution of package. A log provider can be a text file, the SQL Server Profiler, a SQL Server relational database, a Windows event log, or an XML file. If necessary, you can define a custom log provider (e.g., a proprietary file format). 15. What is the LoggingMode property? UseParentSetting - to use parent's setting of that component to decide whether or not to log the data. Select 'Load to sql Table' Data flow Task. Navigate to 'Even Handlers' Tab. 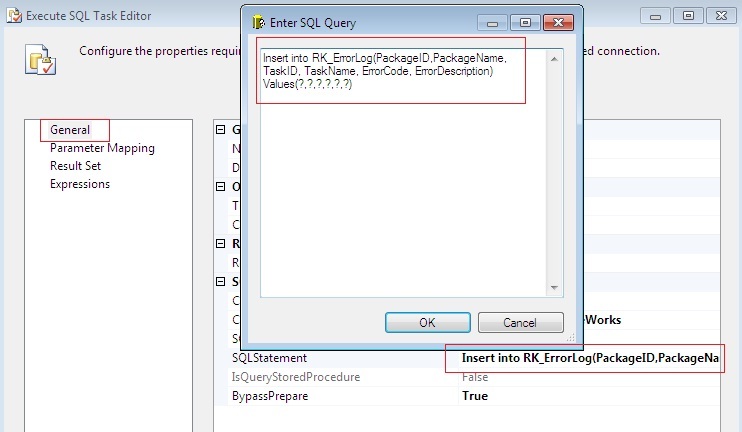 Create a table in Sql Server Database with Columns as: PackageID, PackageName, TaskID, TaskName, ErrorCode, ErrorDescription. The package will be failed during the execution. The error information is inserted into Table. 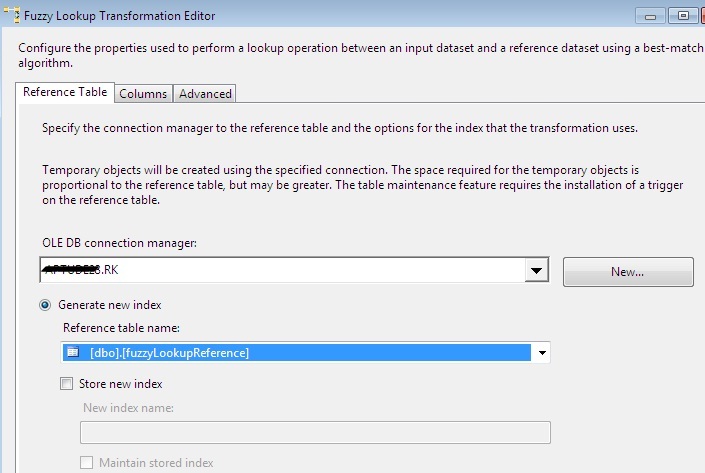 We have 3 options to configure error output in ssis. I have comma-separated value in a flat file with two columns (code, Name). Code is an integer value and name is a varchar(20) data type configured in the flat file connection manager. Some of the codes in the flat files are characters. So, flat file reader component will fail reading the character value. But, I want to redirect the error data to separate table. 18. 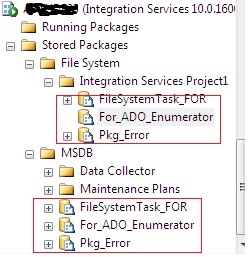 What is Ignore Failure option in SSIS? In Ignore Failure option, the error will be ignored and the data row will be directed to continue on the next transformation. 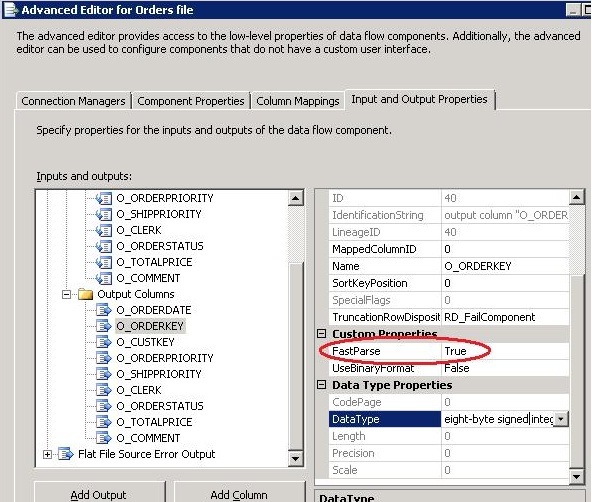 Let’s say you have some JUNK data(wrong type of data ) flowing from source, then using this option in SSIS we can REDIRECT the junk data records to another transformation instead of FAILING the package. This helps to MOVE only valid data to destination and JUNK can be captured into separate file. 1. In BIDS, by right click on the "SSIS Packages" folder of an SSIS project and selecting "Upgrade All Packages". 2. Running "ssisupgrade.exe" from the command line (default physical location C:\Program Files\Microsoft SQL Server\100\DTS\Bin folder). 3. If you open a SSIS 2005 project in BIDS 2008, it will automatically launch the SSIS package upgrade wizard. Synchronous T/F process the input rows and passes them onto the data flow one row at a time. When the output buffer of Transformation created a new buffer, then it is Asynchronous transformation. Output buffer or output rows are not sync with input buffer. 22. What are Row Transformations, Partially Blocking Transformation, Fully Blocking Transformation with examples. Other Row transformation within the package, Other partially blocking transformations within the package. These can re-use the buffer space allocated for available Row transformation and get new buffer space allocated exclusively for Transformation. It will make use of their own reserve buffer and will not share buffer space from other transformation or connection manager. File System Deployment: We can save the package on a physical location on hard drive or any shared folder with this option, and we should provide a full qualified path to stored package in the FileSystem option. Sql Server Deployment: SSIS packages will be stored in the sysssispackages table of MSDB Database. Lookup Transformation finds the exact match. Fuzzy Lookup transformation matches input table with reference table. It finds the closest match and indicates the quality of the match. Partial Cache: The lookup cache starts off empty at the beginning of the data flow. When a new row comes in, the lookup transform checks its cache for the matching values. If no match is found, it queries the database. If the match is found at the database, the values are cached so they can be used the next time a matching row comes in. Full Cache: The default cache mode for lookup is Full cache. The database is queried once during the pre-execute phase of the data flow. The entire reference set is pulled into memory. This approach uses most of the memory. Caching takes place before any rows are read from the data flow source. Lookup operations will be very fast during execution. Cache Transformation: to cache the data used in the Lookup transform. When you're processing a small number of rows and it's not worth the time to charge the full cache. When you have a large reference table. When your data flow is adding new rows to your reference table. When you want to limit the size of your reference table by modifying query with parameters from the data flow. The SCD concept is basically about how the data modifications are absorbed and maintained in a Dimension Table. indicate the validity of the record. The ADO Enumerator enumerates rows in a table. For example, we can get the rows in the ADO records.The variable must be of Object data type. The ADO.Net Enumerator enumerates the schema information. For example, we can get the table from the database. The File Enumerator enumerates files in a folder. For example, we can get all the files which have the *.txt extension in a windows folder and its sub folders. The Variable Enumerator enumerates objects that specified variables contain. Here enumerator objects are nothing but an array or data table. The Item Enumerator enumerates the collections. For example, we can enumerate the names of executables and working directories that an “Execute Process” task uses. The Node List Enumerator enumerates the result of an XPath expression. The SMO Enumerator enumerates SQL Server Management Objects (SMO). For example, we can get the list of functions or views in a SQL Server database. 29. How to execute the package from .NET? We need a reference to Microsoft.SqlServer.ManagedDts.dll to call a package. In order for the job to run successfully, the SQL Server agent should be running on the target machine. SSIS Containers are controls that provide structure to SSIS packages. Containers support repeating control flows in packages and they group tasks and containers into meaningful units of work. Containers can include other containers in addition to tasks. This container runs a Control Flow repeatedly using an enumerator. To repeat tasks for each element in a collection, for example retrieve files from a folder, running T-SQL statements that reside in multiple files, or running a command for multiple objects. This container runs a Control Flow repeatedly by checking conditional expression (same as For Loop in programming language). To repeat tasks until a specified expression evaluates to false. For example, a package can send a different e-mail message seven times, one time for every day of the week. Groups tasks as well as containers into Control Flows that are subsets of the package Control Flow. This container group tasks and containers that must succeed or fail as a unit. For example, a package can group tasks that delete and add rows in a database table, and then commit or roll back all the tasks when one fails. A task will only execute if the condition that is set by the precedence constraint preceding the task is met. By using these constraints,it will choose different execution paths depending on the success or failure of other tasks. Expression/Constraint with Logical AND – Workflow will proceed when specified expression and constraints evaluate to true. Indicated in control flow by a solid color line along with a small ‘fx’ icon next to it. Color of line depends on logical constraint chosen (e.g. success=green, completion=blue). Expression/Constraint with Logical OR – Workflow will proceed when either the specified expression or the logical constraint (success/failure/completion) evaluates to true. Indicated in control flow by a dotted color line along with a small ‘fx’ icon next to it. Color of line depends on logical constraint chosen (e.g. success=green, completion=blue). 1. Avoid Asynchronous Transformation (Sort T/F) wherever possible. Sort T/F required all the incoming rows to be arrivaed before start processing. Instead of using Sort T/F, we get sorted rows from datasource using ORDER By clause. Drop all Non-Clustered Indexes and Clustered Index if exists, then Transfer and load the data into Destination Table. Create Clustered Index and Non-clustered indexes. DataFlow Task uses buffer oriented architecture for data transfer and transformation. When data transfer from Source to Destination, the data first comes into the buffer, required transformations are done in the buffer itself and then written to Destination. The size of buffer depends on the estimated row size. The estimated row size is equal to the maximum size of all columns in the row. So the more columns in a row means less number of rows in a buffer. Hence select only those columns which are required at the destination. Even if we need all the columns from source, we should use the column name specifically in the SELECT statement, otherwise it takes another round for the source to gather meta-data about the columns when u are using SELECT *. There are couple of settings with OLEDB destination which can impact the performance of data transfer as listed below. 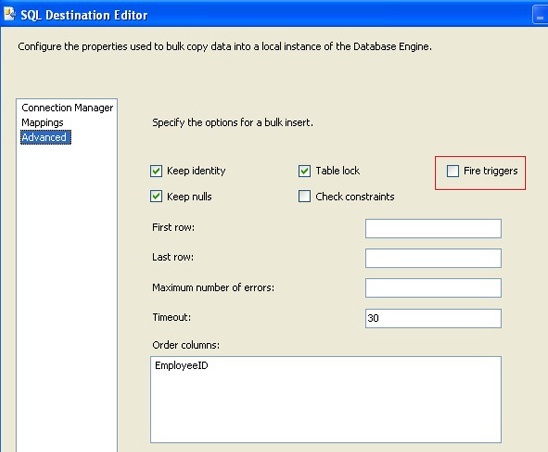 Data Access Mode – This setting provides the 'fast load' option which internally uses a BULK INSERT statement for uploading data into the destination table instead of a simple INSERT statement (for each single row) as in the case for other options. So unless you have a reason for changing it, don't change this default value of fast load. If you select the 'fast load' option, there are also a couple of other settings which you can use as discussed below. Keep Identity – By default this setting is unchecked which means the destination table (if it has an identity column) will create identity values on its own. If you check this setting, the dataflow engine will ensure that the source identity values are preserved and same value is inserted into the destination table. Keep Nulls – Again by default this setting is unchecked which means default value will be inserted (if the default constraint is defined on the target column) during insert into the destination table if NULL value is coming from the source for that particular column. If you check this option then default constraint on the destination table's column will be ignored and preserved NULL of the source column will be inserted into the destination. Table Lock – By default this setting is checked and the recommendation is to let it be checked unless the same table is being used by some other process at same time. It specifies a table lock will be acquired on the destination table instead of acquiring multiple row level locks, which could turn into lock escalation problems. Check Constraints – Again by default this setting is checked and recommendation is to un-check it if you are sure that the incoming data is not going to violate constraints of the destination table. This setting specifies that the dataflow pipeline engine will validate the incoming data against the constraints of target table. If you un-check this option it will improve the performance of the data load. The default value for this setting is -1 which specifies all incoming rows will be treated as a single batch. You can change this default behavior and break all incoming rows into multiple batches. The allowed value is only positive integer which specifies the maximum number of rows in a batch. The default value for this setting is '2147483647' (largest value for 4 byte integer type) which specifies all incoming rows will be committed once on successful completion. You can specify a positive value for this setting to indicate that commit will be done for those number of records. Changing the default value for this setting will put overhead on the dataflow engine to commit several times. Yes that is true, but at the same time it will release the pressure on the transaction log and tempdb to grow specifically during high volume data transfers. The above two settings are very important to understand to improve the performance of tempdb and the transaction log. For example if you leave 'Max insert commit size' to its default, the transaction log and tempdb will keep on growing during the extraction process and if you are transferring a high volume of data the tempdb will soon run out of memory as a result of this your extraction will fail. So it is recommended to set these values to an optimum value based on your environment. The execution tree creates buffers for storing incoming rows and performing transformations. The number of buffer created is dependent on how many rows fit into a buffer and how many rows fit into a buffer dependent on few other factors. The first consideration is the estimated row size, which is the sum of the maximum sizes of all the columns from the incoming records. The second consideration is the DefaultBufferMaxSize property of the data flow task. This property specifies the default maximum size of a buffer. The default value is 10 MB and its upper and lower boundaries are constrained by two internal properties of SSIS which are MaxBufferSize (100MB) and MinBufferSize (64 KB). It means the size of a buffer can be as small as 64 KB and as large as 100 MB. The third factor is, DefaultBufferMaxRows which is again a property of data flow task which specifies the default number of rows in a buffer. Its default value is 10000. If the size exceeds the DefaultBufferMaxSize then it reduces the rows in the buffer. For better buffer performance you can do two things. First you can remove unwanted columns from the source and set data type in each column appropriately, especially if your source is flat file. This will enable you to accommodate as many rows as possible in the buffer. Second, if your system has sufficient memory available, you can tune these properties to have a small number of large buffers, which could improve performance. Beware if you change the values of these properties to a point where page spooling (see Best Practices #8) begins, it adversely impacts performance. So before you set a value for these properties, first thoroughly testing in your environment and set the values appropriately. SSIS uses two types of validation. First is package validation (early validation) which validates the package and all its components before starting the execution of the package. Second SSIS uses component validation (late validation), which validates the components of the package once started. Let's consider a scenario where the first component of the package creates an object i.e. a temporary table, which is being referenced by the second component of the package. During package validation, the first component has not yet executed, so no object has been created causing a package validation failure when validating the second component. SSIS will throw a validation exception and will not start the package execution. So how will you get this package running in this common scenario? 10. When to use events logging and when to avoid. In the Performance Object, select SQL Server:SSIS Pipeline and SQL Server:SSIS Service. “Buffers in use”, “Flat buffers in use” and “Private buffers in use” are useful to discover leaks. During package execution time, we will see these counters fluctuating. But once the package finishes execution, their values should return to the same value as what they were before the execution. Otherwise, buffers are leaked. “Buffers spooled” has an initial value of 0. When it goes above 0, it indicates that the engine has started memory swapping. In a case like this, set Data Flow Task properties BLOBTempStoragePath and BufferTempStoragePath appropriately for maximal I/O bandwidth. Buffers Spooled: The number of buffers currently written to the disk. If the data flow engine runs low on physical memory, buffers not currently used are written to disk and then reloaded when needed. “Rows read” and “Rows written” show how many rows the entire Data Flow has processed. Fast Parse option in SSIS can be used for very fast loading of flat file data. It will speed up parsing of integer, date and time types if the conversion does not have to be locale-sensitive. This option is set on a per-column basis using the Advanced Editor for the flat file source. 2. 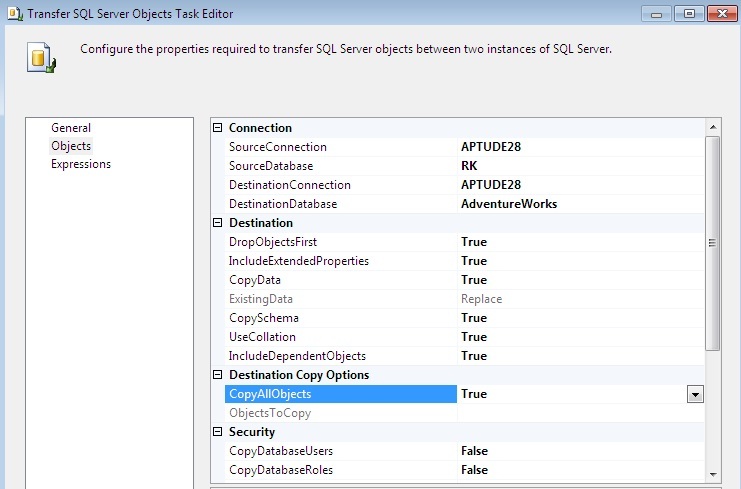 In the Package Migration Wizard, choose the Source, Sql Server 2000 Server Name, Destination folder. 4. Specifty the Log file for Package Migration. OnError : Runs when a task or container reports an error. OnExecStatusChanged : Runs for all tasks and containers when the execution status changes to In Process, Success, or Failed. OnInformation : Runs when SSIS outputs information messages during the validation and execution of a task or container. OnPostExecute : Runs after a container or task successfully completes. OnPostValidate : Executes after a container or task has successfully been validated. OnPreExecute : Runs just before a container or task is executed. OnPreValidate: Runs before the component is validated by the engine. OnProgress : Executed when a progress message is sent by the SSIS engine, indicating tangible advancement of the task or container. OnQueryCancel : Invoked when an Execute SQL Task is cancelled through manual intervention, such as stopping the package. OnTaskFailed : Similar to OnError, but runs when a task fails rather than each time an error occurs. OnVariableValueChanged: Runs when the value changes in a variable for which the RaiseChangeEvent property is set to True. OnWarning Runs: when a task returns a warning event such as a column not being used in a data flow. 1.Control flow consists of one or more tasks and containers that execute when the package runs. We use precedence constraints to connect the tasks and containers in a package. SSIS provides three different types of control flow elements: Containers that provide structures in packages, Tasks that provide functionality, and Precedence Constraints that connect the executables, containers, and tasks into an ordered control flow. 2.Control flow does not move data from task to task. 3.Tasks are run in series if connected with precedence or in parallel. 1. A data flow consists of the sources and destinations that extract and load data, the transformations that modify and extend data, and the paths that link sources, transformations, and destinations. The Data Flow task is the executable within the SSIS package that creates, orders, and runs the data flow. Data Sources, Transformations, and Data Destinations are the three important categories in the Data Flow. 3. Data is moved and manipulated through transformations. 4. Data is passed between each component in the data flow. DTEXECUI provides a graphical user interface that can be used to specify the various options to be set when executing an SSIS package. You can launch DTEXECUI by double-clicking on an SSIS package file (.dtsx). You can also launch DTEXECUI from a Command Prompt then specify the package to execute. Locate the deployment bundle on the first server. If you used the default location, the deployment bundle is the Bin\Deployment folder. Right-click the Deployment folder and click Copy. Locate the public share to which you want to copy the folder on the target computer and click Paste. 1. On the destination computer, locate the deployment bundle. 2. In the Deployment folder, double-click the manifest file, Project1.SSISDeploymentManifest. 3. On the Welcome page of the Package Installation Wizard, click Next. 4. On the Deploy SSIS Packages page, select either File sytem or SQL Server deployment option, select the "Validate packages after installation" check box, and then click Next. 5. 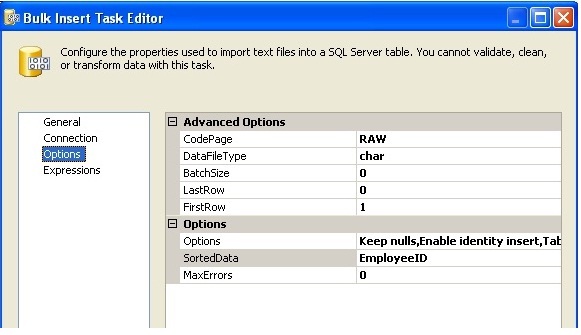 On the Specify Target SQL Server page, specify (local), in the Server name box. 6. If the instance of SQL Server supports Windows Authentication, select Use Windows Authentication; otherwise, select Use SQL Server Authentication and provide a user name and a password. 7. Verify that the "Rely on server storage for encryption" check box is cleared. 8. On the Select Installation Folder page, click Browse. 9. On the Confirm Installation page, click Next. 10. The wizard installs the packages. After installation is completed, the Configure Packages page opens. Right click on the Solution in Solution Explorer and choose properties in the Menu. Double click the Manifest File to start the deployment. 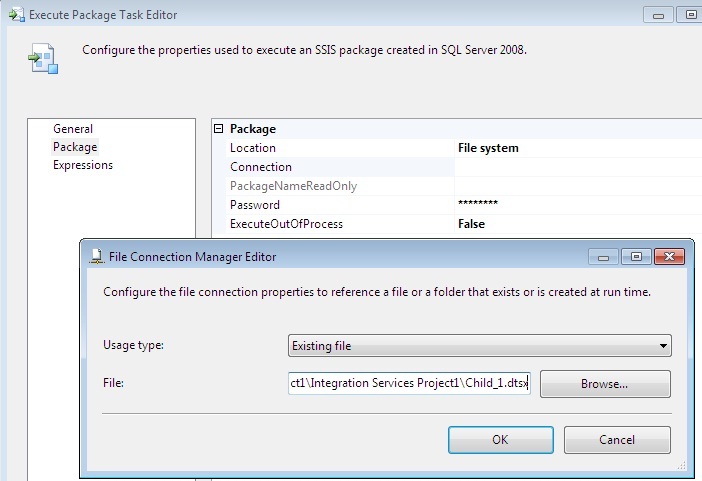 The Package Installation wizard begins and Deploy SSIS Packages step is the first screen that is presented. This screen lets you select where shall the packages be deployed, as mentioned in the Dialog Box, deploying in SQL Server is more secure, since SQL Server stores the packages internally compared to File System where additional security measures needs to taken to secure the physical files. 41. What is the use of Percentage Sampling transformation in SSIS? Percentage Sampling transformation is generally used for data mining. This transformation builds a random sample of set of output rows by choosing specified percentage of input rows. For example if the input has 1000 rows and if I specify 10 as percentage sample then the transformation returns 10% of the RANDOM records from the input data. 42. What is the use of Term Extraction transformation in SSIS? Term Extraction transformation is used to extract nouns or noun phrases or both noun and noun phrases only from English text. It extracts terms from text in a transformation input column and then writes the terms to a transformation output column. It can be also used to find out the content of a dataset. 43. 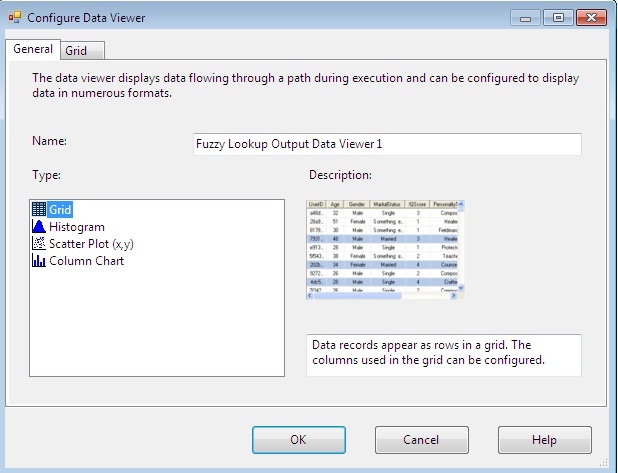 What is Data Viewer and what are the different types of Data Viewers in SSIS? A Data Viewer allows viewing data at a point of time at runtime. The Union All transformation combines multiple inputs into one output. The transformation inputs are added to the transformation output one after the other; no reordering of rows occurs. Merge Transformations combines two sorted data sets of same column structure into a single output.The rows from each dataset are inserted into the output based on values in their key columns. -The Source Input rows are not need to be sorted. -The combined output does not need to be sorted. -when we have more than 2 source inputs. Multicast Transformation is used to extract output from single source and places onto multiple destinations. Conditional Split transformation is used for splitting the input data based on a specific condition. The condition is evaluated in VB Script. Multicast Transformation generates exact copies of the source data, it means each recipient will have same number of records as the source whereas the Conditional Split Transformation divides the source data based on the defined conditions and if no rows match with this defined conditions those rows are put on default output. Bulk Insert Task is used to copy the large volumn of data from text file to sql server destination. 46. Explain Audit Transformation ? 9. TaskID : unique identifier type of the data flow task that contains audit transformation. 47. what are the possible locations to save SSIS package? 1.File System: We can save the package on a physical location on hard drive or any shared folder with this option, and we should provide a full qualified path to stored package in the FileSystem option. 2. Sql Server: SSIS packages will be stored in the MSDB database, in the sysssispackages table. 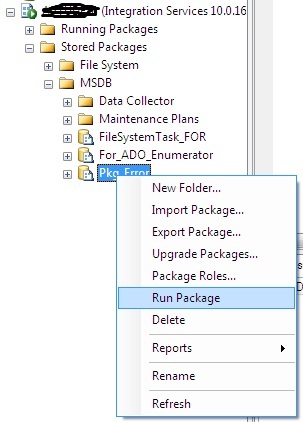 SSIS Package Store is nothing but combination of SQL Server and File System deployment, as you can see when you connect to SSIS through SSMS: it looks like a store which has categorized its contents (packages) into different categories based on its manager’s (which is you, as the package developer) taste. So, don’t get it wrong as something different from the 2 types of package deployment. 48. How to provide security to packages? 1. DonotSaveSensitive: any sensitive information is simply not written out to the package XML file when you save the package. 2. EncryptSensitiveWithUserKey: encrypts sensitive information based on the credentials of the user who created the package. It is the default value for the ProtectionLevel property. 3. EncryptSensitiveWithPassword: requires to specify a password in the package, and this password will be used to encrypt and decrypt the sensitive information in the package. 4. EncryptAllWithPassword: allows to encrypt the entire contents of the SSIS package with your specified password. 5. 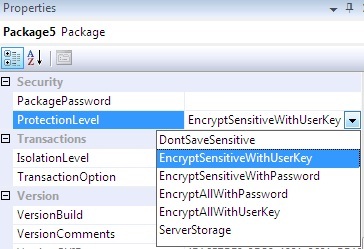 EncryptAllWithUserKey: allows to encrypt the entire contents of the SSIS package by using the user key. 6. Server Storage: allows the package to retain all sensitive information when you are saving the package to SQL Server. SSIS packages are saved to MSDB database of SQL Server. You can change the Protection Level of deployed packages by using the DTUTIL utility. 49. How to track a variable in ssis? OnVariableValueChanged: This event gets raised when value of the variable is changed. 1.Set the "EvaluateasExpression" property of the variable as True. 2.Set the "RaiseChangedEvent" property of the variable as True. 3.Create an event handler for the "OnVariableValueChanged" event for the container in which the variable is scoped. The FTP task downloads and uploads data files and manages directories on servers. For example, a package can download data files from a remote server. 1. Copying directories and data files from one directory to another, before or after moving data, and applying transformations to the data. 2. Downloading files from an FTP location and applying transformations to column data before loading the data into a database. At run time, the FTP task connects to a server by using an FTP connection manager. The FTP connection manager includes the server settings, the credentials for accessing the FTP server, and options such as the time-out and the number of retries for connecting to the server. The FTP connection manager supports only anonymous authentication and basic authentication. It does not support Windows Authentication. 2. CDC (Change Data Capture) Task and Components - -CDC is nothing but Incremental load loads all rows that have changed since the last load -CDC needs to keep track of which changes have already been processed. -CDC task does this by storing LSNs in a tracking table -CDC source component reads from the CDC table function, based on the LSN it for from the CDC task. -CDC transformation splits records into new rows, updated rows and deleted rows. 3. Flat File Connection Manager Changes - -The Flat File connection manager now supports parsing files with embedded qualifiers. The connection manager also by default always checks for row delimiters to enable the correct parsing of files with rows that are missing column fields. The Flat File Source now supports a varying number of columns, and embedded qualifiers. 4. Offline Connection Managers: Integration Services now validates all connections before validating all of the data flow components when a package is opened and sets any connections that are slow or unavailable to work offline. This helps to reduce the delay in validating the package data flow. After a package is opened, you can also turn off a connection by right-clicking the connection manager in the Connection Managers area and then clicking Work Offline. This can speed up operations in the SSIS Designer. 7. Shared Connection Managers: To create connection managers at the project level that can shared by multiple packages in the project. The connection manager you create at the project level is automatically visible in the Connection Managers tab of the SSIS Designer window for all packages. -When converting shared connection managers back to regular (package) connection managers, they disappear in all other packages. 10. Reduced Memory Usage by the Merge and Merge Join Transformations – The old SSIS Merge and Merge Join transformations, although helpful, used a lot of system resources and could be a memory hog. In 2012 these tasks are much more robust and reliable. Most importantly, they will not consume excessive memory when the multiple inputs produce data at uneven rates. 11. Undo/Redo: One thing that annoys users in SSIS before 2012 is lack of support of Undo and Redo. Once you performed an operation, you can’t undo that. 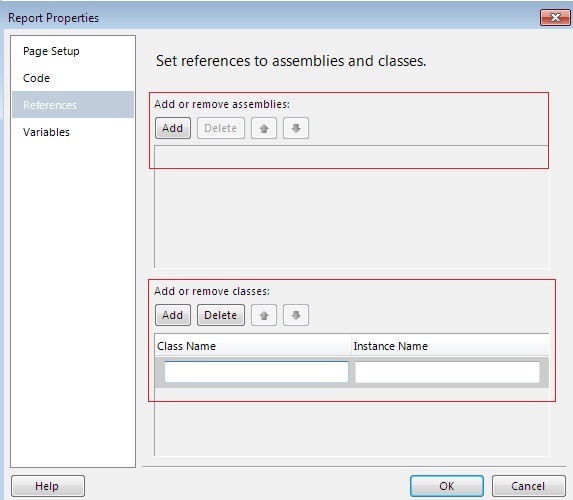 Now in SSIS 2012, we can see the support of undo/redo. 52. Difference between Script Task and Script Component in SSIS. The Script task is configured on the Control Flow tab of the designer and runs outside the data flow of the package. The Script component is configured on the Data Flow page of the designer and represents a source, transformation, or destination in the Data Flow task. A Script task can accomplish almost any general-purpose task. You must specify whether you want to create a source, transformation, or destination with the Script component. The Script task uses both the TaskResult property and the optional ExecutionValue property of the Dts object to notify the runtime of its results. 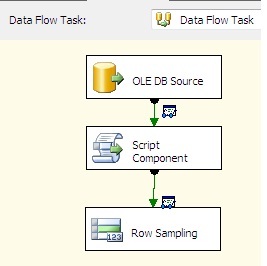 The Script component runs as a part of the Data Flow task and does not report results using either of these properties. A Script task runs custom code at some point in the package workflow. Unless you put it in a loop container or an event handler, it only runs once. A Script component also runs once, but typically it runs its main processing routine once for each row of data in the data flow. The Script Task Editor has three pages: General, Script, and Expressions. Only the ReadOnlyVariables and ReadWriteVariables, and ScriptLanguage properties directly affect the code that you can write. The Script Transformation Editor has up to four pages: Input Columns, Inputs and Outputs, Script, and Connection Managers. The metadata and properties that you configure on each of these pages determines the members of the base classes that are autogenerated for your use in coding. In the code written for a Script task, you use the Dts property to access other features of the package. The Dts property is a member of the ScriptMain class. In Script component code, you use typed accessor properties to access certain package features such as variables and connection managers. The PreExecute method can access only read-only variables. The PostExecute method can access both read-only and read/write variables. 53.Difference between DTS and SSIS? Message box in active-x scripts. Message box in .NET scripting. 55. How to unzip a File in SSIS? Use Execute Process Task in the Control Flow. From BIDS, drag and drop an "Execute Process Task" to the control flow and configure. Executable: The path of the application that is being used. Arguments: Need to supply the arguments to extract the zipped files. Working Directory: The current directory for all process. 1. OLEDB destination loads the records in batches, where as SQL Server destination loads all the records at one go. 2. OLEDB Destination uses the 'Fast Load' data access mode. SQL Server destination uses shared memory for maximum loading speed, must execute on the same server as the database engine. Prefer the OLE-DB Destination simply because it gives better flexibility on where you execute the package. 3. The Bulk Insert task uses the T-SQL BULK INSERT statement for speed when loading large amounts of data. 59. 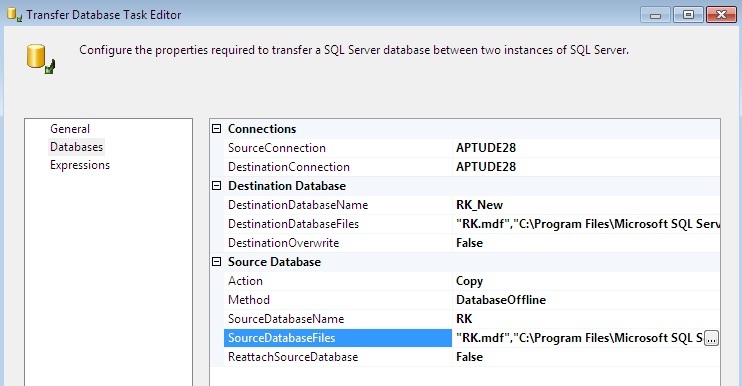 How to run dynamic T-SQL in SSIS? 60. What is the use of RecordSet Destination? The Recordset destination does not save data to an external data source. Instead, it saves data in memory in a recordset that is stored in variable of the Object data type. After the Recordset destination saves the data, we use a Foreach Loop container with the Foreach ADO enumerator to process one row of the recordset at a time. The Foreach ADO enumerator saves the value from each column of the current row into a separate package variable. Then, the tasks that you configure inside the Foreach Loop container read those values from the variables and perform some action with them. Delay Validation: Validation take place during the package execution. Early Validation: Validation take place just before the package execution. used to move a database to another SQL Server instance or create a copy on the same instance (with different database name). This task works in two modes: Offline, Online. Offline: In this mode, the source database is detached from the source server after putting it in single user mode, copies of the mdf, ndf and ldf files are moved to specified network location. On the destination server the copies are taken from the network location to the destination server and then finally both databases are attached on the source and destination servers. This mode is faster, but a disadvantage with mode is that the source database will not available during copy and move operation. Also, the person executing the package with this mode must be sysadmin on both source and destination instances. be either sysadmin or database owner of the specified databases. Used to transfer one or more SQL Server objects to a different database, either on the same or another SQL Server instance. You can transfer tables, views, Indexes, stored procedures, User defined functions, Users, Roles etc. 64. How to Generate an Auto Incremental Number in a SSIS Package? 1. 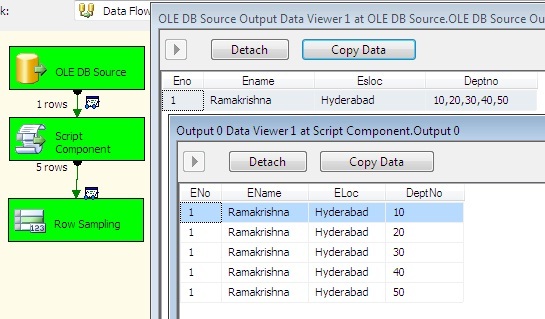 Drag and drop the Script Document to the Data flow and select the Script Component Type as Transformation. 2. Double click the Script Component. 3. Select the column which is to pass through the script component, in the Input Columns tab. 4. Add a column with an integer data type, in the Inputs and Outputs tab. 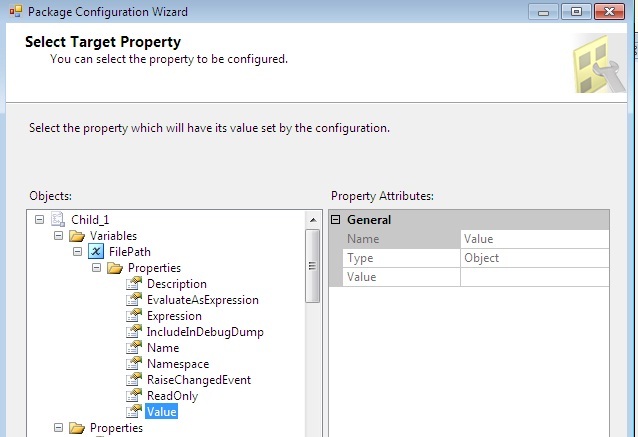 A breakpoint allows you to pause the execution of the package in BIDS during development or when troubleshooting an SSIS Package. You can right click on the task in control flow, click on 'Edit Breakpoint' menu and from the Set Breakpoint window, you specify when you want execution to be halted/paused. For example OnPreExecute, OnPostExecute, OnError events, etc. To toggle a breakpoint, delete all breakpoints and disable all breakpoints go to the Debug menu and click on the respective menu item. You can even specify different conditions to hit the breakpoint as well. 66. What is the DisableEventHandlers property used for? SSIS packages, tasks and containers have a property called DisableEventHandlers. If you set this property to TRUE for task or container, then all event handlers will be disabled for that task or container. If you set this property value to FALSE then the event handlers will once again be executed. 67. How to create Temporary Table using SSIS? 1. For the connection manager, set the property RetainSameConnection =True so that temporary table created in one Control Flow task can be retained in another task. RetainSameConnection means that the temp table will not be deleted when the task is completed. 2. Create a data-flow task that consumes your global temp table in an OLE DB Source component. 3. Set DelayValidation=TRUE on the data-flow task, means that the task will not check if the table exists upon creation. 68. How to Lock a variable in Script Task? 69. How to pass property value at Run time? A property value like connection string for a Connection Manager can be passed to the package using package configurations. 70. How to skip first 5 lines in each Input flat file? In the Flat file connection manager editor, Set the 'Header rows to skip' property. 1.MaxConcurrentExecutables: defines how many tasks can run simultaneously, by specifying the maximum number of SSIS threads that can execute in parallel per package. The default is -1, which equates to number of physical or logical processor + 2. 2. EngineThreads: is property of each DataFlow task. This property defines how many threads the data flow engine can create and run in parallel. The EngineThreads property applies equally to both the source threads that the data flow engine creates for sources and the worker threads that the engine creates for transformations and destinations. Therefore, setting EngineThreads to 10 means that the engine can create up to ten source threads and up to ten worker threads. 72. 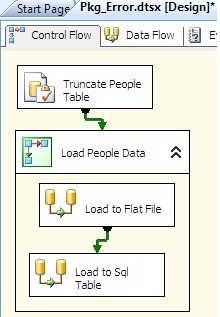 How do we convert data type in SSIS? 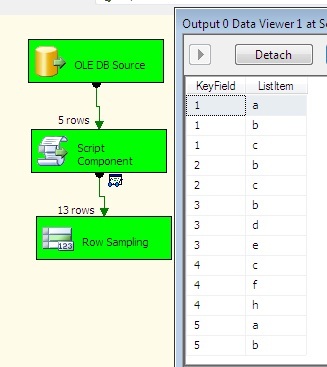 The Data Conversion Transformation in SSIS converts the data type of an input column to a different data type. 1. How do u implement Cascading parameter? The list of values for one parameter depends on the value chosen in preceding parameter. 2. How to pass parameter from Report Viewer Control to sub report? 3. How to open another report in a new window from existing report? 1. Instead of using the "Jump to Report" option on the Navigation tab, use the "Jump to URL" option. 2. Open the expression screen (Fx button). 4. Click OK twice, then save and deploy the report. 4. How to pass parameter from chart to Table in same report? 5. How to apply custom Colors of chart report? In the Pie Chart, select Series Properties and select the Fill option from left side. Here Fields!Year.Value is a field of dataset which is used as Chart Category fields. 6. Can we have Table within a Table in SSRS report? Yes. We can have Nested Tables. select Report->Report Properties from the menu and then click the Code tab. Now apply this function to the style property of an element on the report. If you want apply dynamic styles to report, then create tables in sql server and insert style information into the tables. Create a Dataset, specify the Stored Procedure. where TABLE_HEADER_TEXT is a value in the table. Can be done using expressions. Dataset Filter: Filtering within the source query. When you implement a filter within the data set, less data is sent from the source database server to the Report Server - usually a good thing. Report Filter: This includes filtering after the source query has come back – on a data region (like the Tablix), or a data grouping. When you implement a filter within the report, when the report is re-executed again with different parameter choices, the Report Server uses cached data rather than returning to the database server. Using a Dataset Filter is the most efficient method. 10. Difference between Filter and Parameter? Which one is better? In case of Filters, first the data will be fetched from the database, then the Filters are applied on the fetched data. Filters are applied at run time first on the dataset, and then on the data region, and then on the group, in top-down order for group hierarchies. To add a filter, we must specify a filter equation (expression). The data type of filtered data and value must match. Parameters are applied at the database level. The Data will be fetched based on parameters at the database level using WHERE condition in the query. Parameters are better than Filters in performance. Report can be optimized in terms of Grouping, Filters. Report can be optimized through Caching, Snapshot and subscriptions. Time to retrieve the data (TimeDataRetrieval). These 3 performance components are logged every time for which a deployed report is executed. This information can be found in the table ExecutionLogStorage in the ReportServer database. 2. 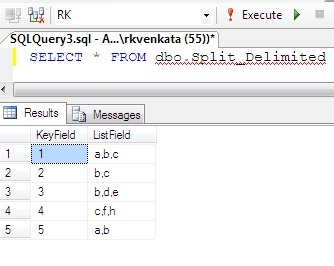 Use the SQL Profiler to see which queries are executed when the report is generated. Sometimes you will see more queries being executed than you expected. Every dataset in the report will be executed. A lot of times new datasets are added during building of reports. Check if all datasets are still being used. For instance, datasets for available parameter values. Remove all datasets which are not used anymore. 3. Sometimes a dataset contains more columns than used in the Tablix\list. Use only required columns in the Dataset. 4. ORDER BY in the dataset differs from the ORDER BY in the Tablix\list. You need to decide where the data will be sorted. It can be done within SQL Server with an ORDER BY clause or in by the Reporting server engine. It is not useful to do it in both. If an index is available use the ORDER BY in your dataset. 5. Use the SQL Profiler to measure the performance of all datasets (Reads, CPU and Duration). Use the SQL Server Management Studio (SSMS) to analyze the execution plan of every dataset. 6. Avoid dataset with result sets with a lot of records like more than 1000 records. A lot of times data is GROUPED in the report without an Drill down option. In that scenario do the group by already in your dataset. This will save a lot of data transfer to the SQL Server and it will save the reporting server engine to group the result set. 7. Rendering of the report can take a while if the result set is very big. Look very critical if such a big result set is necessary. If details are used in only 5 % of the situations, create another report to display the details. This will avoid the retrieval of all details in 95 % of the situations. Use a matrix to display aggregated data summaries, grouped in rows and columns, similar to a PivotTable or crosstab. The number of rows and columns for groups is determined by the number of unique values for each row and column groups. 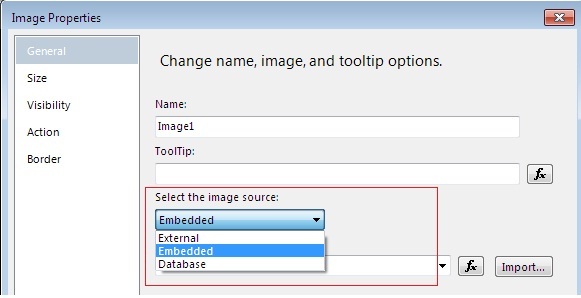 An image is a report item that contains a reference to an image that is stored on the report server, embedded within the report, or stored in a database. When you use an external image in a report, the image source is set to External and the value for the image is the URL to the image. If we add images that are stored in a database to report then such image is known as a data-bound image. Data-bound images can also be displayed from binary data (BLOB) stored in a database. Deploying the reports onto the web server. Delivering the reports through E-mail or File Share using the subscriptions. Creating the Cached and Snapshot Reports. Providing the Security to the reports. In the Report Manager, we have upload option to upload the reports. Shared datasets retrieve data from shared data sources that connect to external data sources. A shared dataset contains a query to provide a consistent set of data for multiple reports. The dataset query can include dataset parameters. Shared datasets use only shared data sources, not embedded data sources. 1. Report Builder: Use shared dataset design mode and save the shared dataset to a report server or SharePoint site. 2. Report Designer in BIDS: Create shared datasets under the Shared Dataset folder in Solution Explorer. To publish a shared dataset, deploy it to a report server or SharePoint site. Upload a shared dataset definition (.rsd) file. You can upload a file to the report server or SharePoint site. On a SharePoint site, an uploaded file is not validated against the schema until the shared dataset is cached or used in a report. The shared dataset definition includes a query, dataset parameters including default values, data options such as case sensitivity, and dataset filters. 19. How to Keep Headers Visible When Scrolling Through a Report? 1. Right-click the row, column, or corner handle of a tablix data region, and then click Tablix Properties. 2. 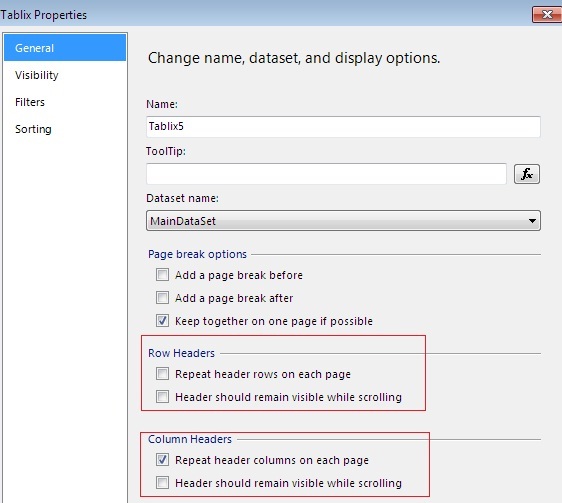 On the General tab, under Row Headers or Column Headers, select Header should remain visible while scrolling. 1. On the design surface, click the row or column handle of the tablix data region to select it. The Grouping pane displays the row and column groups. 2. On the right side of the Grouping pane, click the down arrow, and then clickAdvanced Mode. The Row Groups pane displays the hierarchical static and dynamic members for the row groups hierarchy and the Column groups pane shows a similar display for the column groups hierarchy. 3. Click the static member (row or column) that you want to remain visible while scrolling. The Properties pane displays the Tablix Member properties. 4. 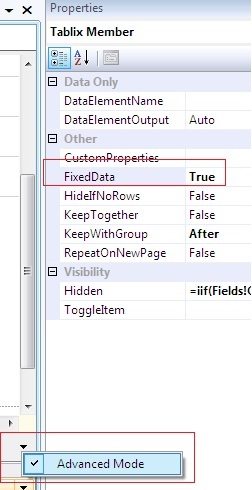 In the Properties pane, set FixedData to True. 1. On the design surface, right-click the corner handle of the data region and then click Tablix Properties. Add a page break before:Select this option when you want to add a page break before the table. 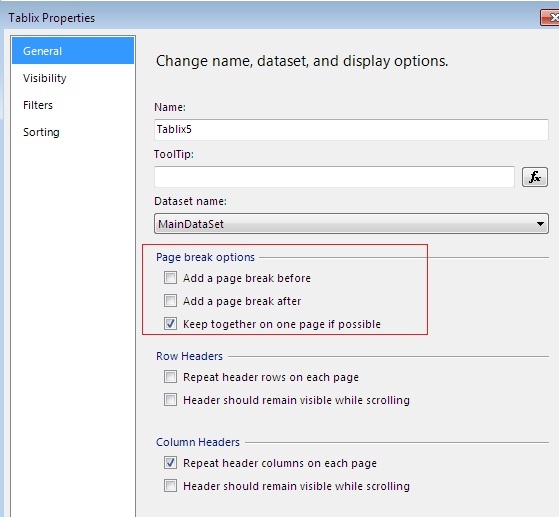 Add a page break after:Select this option when you want to add a page break after the table. Fit table on one page if possible:Select this option when you want the data to stay on one page. 21. A main report contain subreport also. Can we export both main report and subreport to Excel? Yes. The exported report contains both the mail report and sub report. 22. how to convert PDF report from Portrait to Landscape format? Set the height of the report to 21 cm. To avoid extra blank pages during export, the size of the body should be less or equal to the size of the report - margins. 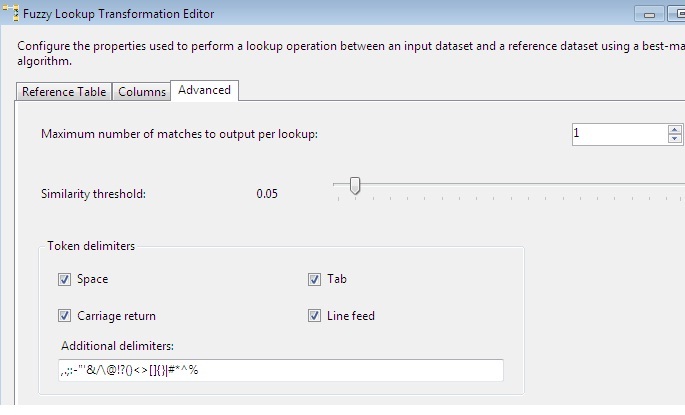 Step 1: All the data sets of the report should contain one addition input parameter which should pass a unique information for every request (for every click of View Report button) made by the user. Step 2: Need to implement TRY CATCH blocks for all the Stored procedures used in the SSRS reports through datasets. The CATCH section of every procedure should have the provision to save the error details into DB table, if any error occurred while execution of that procedure. Step 3: Add one more additional dataset with the name "ErrorInfo" which should call the store procedure (USP_ERROR_INFO). This procedure should be accepting a unique value. This unique value should be passed to all the data sets for every click of 'View Report' button made by the user. This dataset will return the error information available in the data base table by verifying records with the unique id which has passes as input parameter. 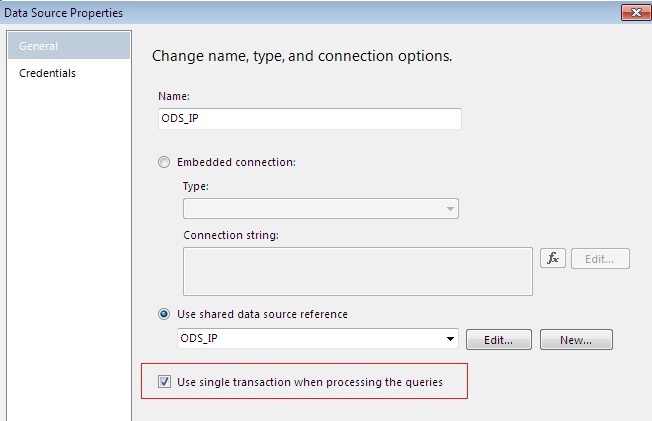 Step 4:Enable the “Use Single Transaction When Processing Queries” option in data source properties, which makes all the query executions through a single transaction. Step 5: After successful completion of all the above mentioned steps, insert new table on SSRS report with custom error information which will be shown to the report user if the user gets any error during execution of the report. There are few third party Report Tools like Nevron, izenda. 2.1.Right-click the report project, and then click Properties. 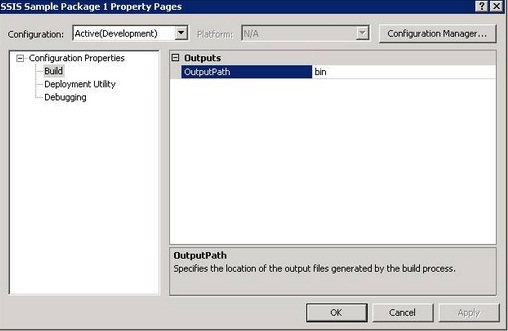 2.2.In the Property Pages dialog box for the project, select a configuration to edit from the Configuration list. Common configurations are DebugLocal, Debug, and Release. 2.3.In StartItem, select a report to display in the preview window or in a browser window when the report project is run. 2.4.In the OverwriteDataSources list, select True to overwrite the shared data source on the server each time shared data sources are published, or select False to keep the data source on the server. 2.5.In the TargetDataSourceFolder text box, type the folder on the report server in which to place the published shared data sources. The default value for TargetDataSourceFolder is Data Sources. If you leave this value blank, the data sources will be published to the location specified in TargetReportFolder. 2.6. 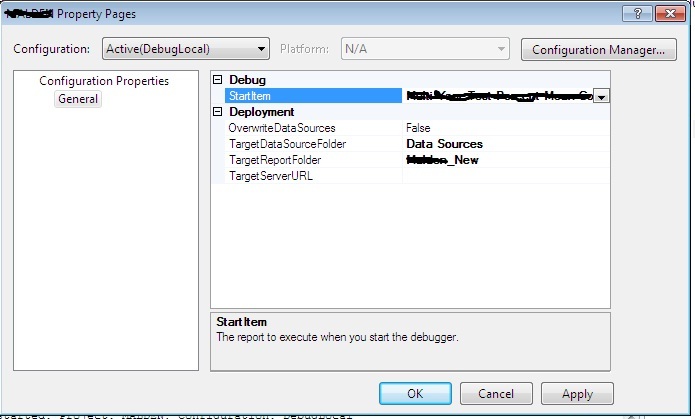 In the TargetReportFolder text box, type the folder on the report server in which to place the published reports. The default value for TargetReportFolder is the name of the report project. 2.7. In the TargetServerURL text box, type the URL of the target report server. Before you publish a report, you must set this property to a valid report server URL. Cached Report is a saved copy of processed report. The first time a user clicks the link for a report configured to cache, the report execution process is similar to the on-demand process. The intermediate format is cached and stored in ReportServerTempDB Database until the cache expiry time. If a user request a different set of parameter values for a cached report, then the report processor treats the requests as a new report executing on demand, but flags it as a second cached instance. Report snapshot contains the Query and Layout information retrieved at specific point of time. It executes the query and produces the intermediate format. The intermediate format of the report has no expiration time like a cached instance, and is stored in ReportServer Database. 27. Subscription. Different types of Subscriptions? Subscriptions are used to deliver the reports to either File Share or Email in response to Report Level or Server Level Schedule. 1. Standard Subscription: Static properties are set for Report Delivery. This stage involves creation of reports that are published using the Report Definition language. RDL is an XML based industry standard for defining reports. Report Designer is a full-featured report authoring tool that runs in Business Intelligence Development Studio and Report Builder. This involves managing the published reports as a part of the webservice. The reports are cached for consistency and performance. They can be executed whenever demanded or can be scheduled and executed. Reports can be delivered to the consumers either on their demand or based on an event. Then they can view them is a web-based format. It is important to protect reports as well as the report resources. Therefore, Reporting Services implement a flexible, role-based security model. Linked report:A linked report is derived from an existing report and retains the original's report definition. A linked report always inherits report layout and data source properties of the original report. All other properties and settings can be different from those of the original report, including security, parameters, location, subscriptions, and schedules. Snapshot reports: A report snapshot contains layout information and query results that were retrieved at a specific point in time. Report snapshots are processed on a schedule and then saved to a report server. Subreport: A subreport is a report that displays another report inside the body of a main report. The subreport can use different data sources than the main report. Cached reports: A cached report is a saved copy of a processed report. Cached reports are used to improve performance by reducing the number of processing requests to the report processor and by reducing the time required to retrieve large reports. They have a mandatory expiration period, usually in minutes. Drill Down Report: Means navigate from the summary level to detail level in the same report. Drill Through Report: Navigation from one report to another report. Ad hoc reports:Ad Hoc reporting allows the end users to design and create reports on their own provided the data models. Use 'Model Designer' tool to design 'Report Models' and then use 'Report Model' tool to generate reports. - Windows Winform application for End users to build ad-hoc reports with the help of Report models. 32. Explain the Report Model Steps. A report model project contains the definition of the data source (.ds file), the definition of a data source view (.dsv file), and the report model (.smdl file). A data source view is a logical data model based on one or more data sources. SQL Reporting Services generates the report model from the data source view. 5. Publish a report model to report server. 34. Difference between RDL and RDLC? RDL files are created for Sql Server Reporting Services and .RDLC files are for Visual Studio Report Viewer Component. The <Query> element of RDL contains query or command and is used by the Report Server to connect to the datasources of the report. The <Query> element is optional in RDLC file. This element is ignored by Report Viewer control because Report Viewer control does not perform any data processing in Local processing mode, but used data that the host application supplies. 35. Difference between Sorting and Interactive Sorting? 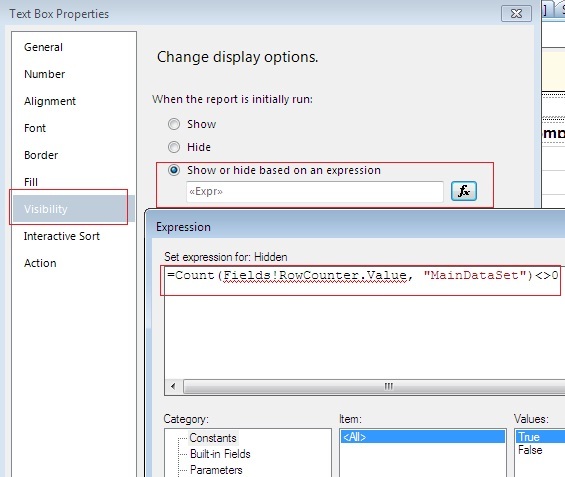 To control the Sort order of data in report, you must set the sort expression on the data region or group. The does not have control over sorting. You can provide control to the user by adding Interactive Sort buttons to toggle between ascending and descending order for rows in a table or for rows and columns in a matrix. The most common use of interactive sort is to add a sort button to every column header. The user can then choose which column to sort by. Windows Winform application for End users to build ad-hoc reports with the help of Report models. A Table Report can have fixed number of columns and dynamic rows. A Matrix Report has dynamic rows and dynamic columns. 1. Use a Table to display detail data, organize the data in row groups, or both. 2. Use a matrix to display aggregated data summaries, grouped in rows and columns, similar to a PivotTable or crosstab. The number of rows and columns for groups is determined by the number of unique values for each row and column groups. Stores configuration settings for feature areas of the Report Server service: Report Manager, the Report Server Web service, and background processing. Stores the code access security policies for the server extensions. Stores the code access security policies for Report Manager. Includes only those settings that are required for ASP.NET. Ad Hoc reporting allows the end users to design and create reports on their own provided the data models. Adhoc Report is created from existing report model using Report Builder. 1. Authorization is provided through a role-based security model that is specific to Reporting Services. 2. IIS security controls access to the report server virtual directory and Report Manager. 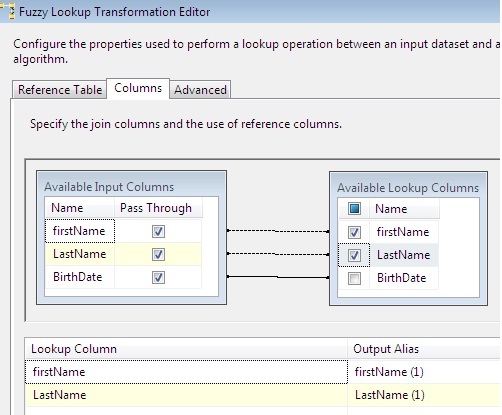 Using LookUP function, we can combine 2 datasets in SSRS. In the following example, assume that a table is bound to a dataset that includes a field for the product identifier ProductID. A separate dataset called "Product" contains the corresponding product identifier ID and the product name Name. In the above expression, Lookup compares the value of ProductID to ID in each row of the dataset called "Product" and, when a match is found, returns the value of the Name field for that row. Report Server handle authentication, data processing, rendering and delivery operations. The configuration settings of Report Manager and the Report Server Web service are stored in a single configuration file (rsreportserver.config). Report Manager is the web-based application included with Reporting Services that handles all aspects of managing reports (deploying datasources and reports, caching a report, subscriptions, snapshot). 44. Steps to repeat Table Headers in SSRS 2008? 2. At the bottom of the screen, select a dropdown arrow beside column groups. Enable "Advanced Mode" by clicking on it. 3. under Row Groups,select the static row and choose properties / press F4. 4. Set the following attributes for the static row or header row. Set FixedData=True for keeping the headers visible. 47. How to show "No Data Found" Message to end user? 48. What is the 'Use single transaction when processing the queries' in the Datasource? Dataset Execution Order? By default, datasets are executed in parallel. This option used to reduce the amount of open connections to the database. For example, if you have a report with 3 datasets and you don’t have this option checked, a new connection is made to the database for every single dataset. However, if you have it checked, then only one connection will be open to the database and all the datasets will return the data and the connection will be closed. This can be used to reduce network traffic and potentially increase performance. Open the data source dialog in report designer, and select the "Use Single Transaction when processing the queries' check box. Once selected, datasets that use the same data source are no longer executed in parallel. They are also executed as a transaction, i.e. if any of the queries fails to execute, the entire transaction is rolled back. The order of the dataset execution sequence is determined by the top-down order of the dataset appearance in the RDL file, which also corresponds to the order shown in report designer. ReportServer: hosts the report catalog and metadata. For eg: keeps the catalog items in the Catalog table, the data source information in the Data-Source table of ReportServer Database. ReportServerTempDB: used by RS for caching purposes. For eg: once the report is executed, the Report Server saves a copy of the report in the ReportServerTempDB database. Star Schema: One Fact Table surrounded by number of Dimension Tables. It is a De-Normalized form. Dimension table will not have any parent table. Hierarchies in the Dimension are stored in the Dimension itself. Snowflake: Normalized form of star schema is a snow flake schema. Dimension tables can be further broken down into sub dimensions. Dimension table will have one or more parent tables. Hierarchies are broken into seperate tables in snow schema. These hierarchies helps to drilldown the data from Top hierarchy to lowermost hierarchy. Increases the number of joins and poor performance in retrival of data. In ROLAP, the structure of aggregation along with the values are stored in the 2 dimensional relational formats at disc level. ROLAP offers low latency, but it requires large storage space as well as slower processing and query response times. In MOLAP, the structure of aggregation along with the data values are stored in multi dimensional format, takes more space with less time for data analysis compared to ROLAP. MOLAPoffers faster query response and processing times, but offers a high latency and requires average amount of storage space. This storage mode leads to duplication of data as the detail data is present in both the relational as well as the multidimensional storage. In HOLAP, stucture is stored in Relational model and data is stored in multi dimensional model which provides optimal usage and space. This storage mode offers optimal storage space, query response time, latency and fast processing times. Default storage setting is MOLAP. A dimension whose type has not been set to a special dimension type. A dimension whose attributes represent time periods, such as years, semesters, quarters, months, and days. A dimension whose attributes represent organizational information, such as employees or subsidiaries. A dimension whose attributes represent geographic information, such as cities or postal codes. A dimension whose attributes represent inventory or manufacturing information, such as parts lists for products. A dimension whose attributes represent a chart of accounts for financial reporting purposes. A dimension whose attributes represent customer or contact information. A dimension whose attributes represent product information. A dimension whose attributes represent planning or strategic analysis information. A dimension whose attributes represent quantitative information. A dimension whose attributes represent miscellaneous information. This type of dimension contains currency data and metadata. A dimension whose attributes represent currency rate information. A dimension whose attributes represent channel information. A dimension whose attributes represent marketing promotion information. Fully Additive Facts: These are facts which can be added across all the associated dimensions. For example, sales amount is a fact which can be summed across different dimensions like customer, geography, date, product, and so on. Semi-Additive Facts: These are facts which can be added across only few dimensions rather than all dimensions. For example, bank balance is a fact which can be summed across the customer dimension (i.e. the total balance of all the customers in a bank at the end of a particular quarter). However, the same fact cannot be added across the date dimension (i.e. the total balance at the end of quarter 1 is $X million and $Y million at the end of quarter 2, so at the end of quarter 2, the total balance is only $Y million and not $X+$Y). Non-Additive Facts: These are facts which cannot be added across any of the dimensions in the cube. For example, profit margin is a fact which cannot be added across any of the dimensions. For example, if product P1 has a 10% profit and product P2 has a 10% profit then your net profit is still 10% and not 20%. We cannot add profit margins across product dimensions. Similarly, if your profit margin is 10% on Day1 and 10% on Day2, then your net Profit Margin at the end of Day2 is still 10% and not 20%. Derived Facts: Derived facts are the facts which are calculated from one or more base facts, often by applying additional criteria. Often these are not stored in the cube and are calculated on the fly at the time of accessing them. For example, profit margin. Factless Facts: A factless fact table is one which only has references (Foreign Keys) to the dimensions and it does not contain any measures. These types of fact tables are often used to capture events (valid transactions without a net change in a measure value). For example, a balance enquiry at an automated teller machine (ATM). Though there is no change in the account balance, this transaction is still important for analysis purposes. Textual Facts: Textual facts refer to the textual data present in the fact table, which is not measurable (non-additive), but is important for analysis purposes. For example, codes (i.e. product codes), flags (i.e. status flag), etc. 5. Types of relationships between dimensions and measuregroups. Many to many:The dimension table is to an intermediate fact table,the intermediate fact table is joined, in turn, to an intermediate dimension table to which the fact table is joined. Proactive caching can be configured to refresh the cache (MOLAP cache) either on a pre-defined schedule or in response to an event (change in the data) from the underlying relational database. Proactive caching settings also determine whether the data is queried from the underlying relational database (ROLAP) or is read from the outdated MOLAP cache, while the MOLAP cache is rebuilt. Proactive caching helps in minimizing latency and achieve high performance. It enables a cube to reflect the most recent data present in the underlying database by automatically refreshing the cube based on the predefined settings. When we reprocess SSAS cube then it actually bring new/changed relational data into SSAS cube by reprocessing dimensions and measures. Partition indexes and aggregations might be dropped due to changes in related dimensions data so aggregations and partition indexes need to be reprocessed. It might take more time to build aggregation and partition indexes. If you want to bring cube online sooner without waiting rebuilding of partition indexes and aggregations then lazy processing option can be chosen. Lazy processing option bring SSAS cube online as soon as dimensions and measures get processed. Partition indexes and aggregations are triggered later as a background job. Lazy processing option can be changed by server level property "OLAP\LazyProcessing\Enabled"
Advantage: Lazy processing saves processing time as it brings as soon as measures and dimension data is ready. Disadvantage: User will see performance hit when aggregation are getting build in background. Process Default: SSAS dynamically chooses from one of the following process options. attribute hierarchy is added, deleted, or renamed. Process Update: Forces a re-read of data and an update of dimension attributes. Flexible aggregations and indexes on related partitions will be dropped. Process Add: For dimensions, adds new members and updates dimension attribute captions and descriptions. Process Index: Creates or rebuilds indexes and aggregations for all processed partitions. For unprocessed objects, this option generates an error. Unprocess: Delete data from the object. Process Structure: Drop the data and perform process default on all dimensions. Process Clear: Drops the data in the object specified and any lower-level constituent objects. After the data is dropped, it is not reloaded. Process Clear Structure: Removes all training data from a mining structure. "Detail" level which is nothing but the Dimension Members. Quarter, Month, and Date as its levels. 1. Attribute Hierarchies are always Two-Level (Unless All Level is suppressed) whereas User Defined Hierarchies are often Multi-Level. 2. By default, Every Attribute in a Dimension has an Attribute Hierarchy whereas User Defined Hierarchies have to be explicitly defined by the user/developer. 3. Every Dimension has at least one Attribute Hierarchy by default whereas every Dimension does not necessarily contain a User Defined Hierarchy. In essence, a Dimension can contain zero, one, or more User Defined Hierarchies. 4. Attribute Hierarchies can be enabled or disabled. Disable the Attribute Hierarchy for those attributes which are commonly not used to slice and dice the data during analysis, like Address, Phone Number, and Unit Price etc. Doing this will improve the cube processing performance and also reduces the size of the cube as those attributes are not considered for performing aggregations. 5. Attribute Hierarchies can be made visible or hidden. When an Attribute Hierarchy is hidden, it will not be visible to the client application while browsing the Dimension/Cube. Attribute Hierarchies for those attributes which are part of the User Defined Hierarchies, like Day, Month, Quarter, and Year, which are part of the Calendar Hierarchy, can be hidden, since the attribute is available to the end users through the User Defined Hierarchy and helps eliminate the confusion/redundancy for end users. be organized into user-defined hierarchies, or can be defined as parent-child hierarchies based on columns in the underlying dimension table. Hierarchies are used to organize measures that are contained in a cube. Hierarchy: is the relation between attributes in a dimension. Level: refers to individual attribute within the Hierarchy. When you create a dimension using dimension wizard in BIDS, then you're creating a Database dimension in your AS database. Database dimensions is independent of cube and can be processed on their own. When you build a cube, and you add dimensions to that cube, you create cube dimensions: cube dimensions are instances of a database dimension inside a cube. When setting up a dimension with a Refence relationship type, we have the option of "materializing" the dimension. structure. This imporvies the qery performance, but increases the processing time and storage space. If the option is not selected, only the relationship between the fact records and the intermediate dimension is stored in the cube. This means that Anaylysis services has to derive the aggregated values for the members of the referenced dimension when a query is executed, resulting in slower query performance. A Role-Playing Dimension is a Dimension which is connected to the same Fact Table multiple times using different Foreign Keys. In Cube Designer, click the Dimension Usage tab. Either click the 'Add Cube Dimension' button, or right-click anywhere on the work surface and then click Add Cube Dimension. In the Add Cube Dimension dialog box, select the dimension that you want to add, and then click OK.
A Conformed Dimension is a Dimension which connects to multiple Fact Tables across one or more Data Marts (cubes). Conformed Dimensions are exactly the same structure, attributes, values (dimension members), meaning and definition. A linked dimension is based on a dimension that is stored in a separate Analysis Services Database which may or may not be on the same server. You can create and maintain a dimension in just one database and then reuse that dimension by creating linked dimensions for use in multiple databases. -More than one Linked Dimension can be created from a Single Database Dimension. -These can be used to implement the concept of Conformed Dimensions. -For an end user, a Linked Dimension appears like any other Dimension. actually stored in the Fact Table. It's a Dimension table which does not have an underlying physical table of its own. Degenerate Dimensions are commonly used when the Fact Table contains/represents Transactional data like Order Details, etc. and each Order has an Order Number associated with it, which forms the unique value in the Degenerate Dimension. A Junk Dimension is often a collection of Unrelated Attributes like indicators, flags, codes, etc. It is also called as a Garbage Dimension. Junk Dimensions are usually small in size. One of the common scenarios is when a Fact Table contains a lot of Attributes which are like indicators, flags, etc. Using Junk Dimensions, such Attributes can be removed/cleaned up from a Fact Table. SCD: The Slowly Changing Dimension (SCD) concept is basically about how the data modifications are absorbed and maintained in a Dimension Table. The new (modified) record and the old record(s) are identified using some kind of a flag like say IsActive, IsDeleted etc. or using Start and End Date fields to indicate the validity of the record. 18. How will you keep measure in cube without showing it to user? 28. What do you understand by attribute relationship? what are the main advantages in using attribute relationship? 29. What is natural hierarchy and how will you create it? 30. What do you understand by rigid and flexible relationship? Which one is better from performance perspective? Month of 2012. Try to set the relationship to Rigid wherever possible. Flexible: Attribute Relationship should be set to Flexible when the relationship between those attributes is going to change over time. For example, relationship between an Employee and a Manager is Flexible since a particular Employee might work under one manager during this year (time period) and under a different manager during next year (another time period). 31. In which scenario, you would like to go for materializing dimension? 32. In dimension usage tab, how many types of joins are possible to form relationship between measure group and dimension? 33. What is deploy, process and build? 34. Can you create server time dimension in analysis services(Server time dimension)? 35. How many types of dimension are possible in SSAS? 36. What is time intelligence? How will you implement in SSAS? 37. What do you understand by linked cube or linked object feature in SSAS? 38. How will you write back to dimension using excel or any other client tool? 39. What do you understand by dynamic named set (SSAS 2008)? How is i different from static named set? 40. In Process Update, which relationship will be better(Rigid and Flexible relationship)? 41. What is the difference between "ProcessingGroup" ByAttribute and ByTable? 42. What do you understand by following properties of dimension attribute. 43. What are different storage mode option in SQL server analysis services and which scenario, they will be useful? 44. How will you implement data security for given scenario in analysis service data? "I have 4 cubes and 20 dimension. I need to give access to CEO, Operation managers and Sales managers and employee. 1) CEO can see all the data of all 4 cubes. 2) Operation Managers can see only data related to their cube. There are four operation managers. 3) Employees can see only certain dimension and measure groups data. (200 Employees) "
45. What are the options to deploy SSAS cube in production? In BIDS from the build menu – select the build option (or right click on the project in the solution explorer). Deployment via BIDS will overwrite the destination database management settings – so is not recommended for production deployment. A more controllable option is the Deployment wizard, available in interactive or command line mode. Default processing allows SSAS to decide what needs to be done; Full processing can be used to process all objects. You can also choose not to process at all. 46. What are the options available to incrementally load relational data into SSAS cube? 47. Why will you use aggregation at remote server? 48. What are different ways to create aggregations in SSAS? 49. What do you understand by Usage based optimization? 50. Can we use different aggregation scheme for different partitions? 51. Why will you use perspective in SSAS? 52. What are KPIs? How will you create KPIs in SSAS? 53. What are the main feature differences in SSAS 2005 and SSAS 2008 from developer point of view? 54.What are the aggregate functions available for measure in SSAS? 55. What are the processing modes available for measure group? What do you understand by lazy aggregation? 56. How can you improve dimension design? 1: Limit the Number of Dimensions Per Measure Group and Number of Attributes Per Dimension. AttributeHierarchyOptimizedState: Determines the level of optimization applied to the attribute hierarchy. By default, an attribute hierarchy is FullyOptimized, which means that Analysis Services builds indexes for the attribute hierarchy to improve query performance. The other option, NotOptimized, means that no indexes are built for the attribute hierarchy. default, this property is assigned a value of ByAttribute. 57. What are the performance issues with parent child hierarchy? In parent-child hierarchies, aggregations are created only for the key attribute and the top attribute, i.e., the All attribute unless it is disabled. 58. What do you understand by formula engine and storage engine? Formula Engine is single-threaded, Storage Engine (SE) is multi-threaded. 59. How can you improve overall cube performance? server that has multiple processors. 2. Keep Cube space as small as possible by only including measures groups that are needed. 3. Place the measures that are queried together in same measure group. A query that retrieves measures from multiple measure groups requires multiple storage space. 4. Define the aggregations to reduce the number of records that the storage engine needs to scan from disk to satisfy a query. 5. Avoid designing excessive aggregations. Excessive aggregations may reduce processing performance and query performance. 1. Process Update all the dimensions that could have had data changed. Depending on the nature of the changes in the dimension table, Process Update can affect dependent partitions. If only new members were added, then the partitions are not affected. But if members were deleted or if member relationships changed, then some of the aggregation data and bitmap indexes on the partitions are dropped. 2. Process Data the partitions that have changed data (which are usually the most recent partitions). Of course, the smaller the partition, the better, so try to use daily partitions instead of monthly or use monthly partitions instead of yearly. 1. Explain the structure of MDX query? 3. What is the difference between set and tuple? 4. What do you understand by Named set? Named sets are simply MDX expression that return a set of members. The different between the two is the scope. Using WITH specifies the scope of the named set as the query, so as soon as the query finishes executing, that named set is gone. Using CREATE, the scope of the query is limited to the MDX session as long as you don't drop the set. A Dynamic Named Set respects the context of a query's subcube and the query's WHERE clause and is evaluated at the time the query is executed. A Static Named Set is evaluated at the time the cube is processed and will not respect any subcube context and slicers in WHERE clause. 5. How will you differentiate among level, member, attribute, hierarchy? 6. What are the differences among exists, existing and scope? 7. What will happen if we remove CALCULATE keyword in the script? 8. How will you pass parameter in MDX? 9. What is the difference between .MEMBERS and .CHILDREN? 10.What is the difference between NON EMPTY keyword and NONEMPTY() function? Non Empty is prefixed before the sets defining the axes and is used for removing NULLs. In short, only the rows having NULL for all the members of the set defined in the column axis is filtered out. This is because the Non Empty operator works on the top level of the query. Internally, the sets defined for the axes are generated first and then the tuples having NULL values are removed. A respects the context of a query's subcube and the query's WHERE clause and is evaluated at the time the query is executed. 16. Write MDX for retrieving top 3 customers based on internet sales amount? 17. Write MDX to find current month's start and end date? 18. Write MDX to compare current month's revenue with last year same month revenue? 19. Write MDX to find MTD(month to date), QTD(quarter to date) and YTD(year to date) internet sales amount for top 5 products? 20. Write MDX to find count of regions for each country? 21. Write MDX to rank all the product category based on calendar year 2005 internet sales amount? 22. Write MDX to extract nth position tuple from specific set? 23. Write MDX to set default member for particular dimension? 24. What are the performance consideration for improving MDX queries? 25. Is Rank MDX function performance intensive? 26. Which one is better from performance point of view...NON Empty keyword or NONEMPTY function? 27. How will you find performance bottleneck in any given MDX? 28. What do you understand by storage engine and formula engine?